The only reason I am posting the following is because I get terribly excited about multitools. Think of Apple fanboyz and you’ll know what I mean. I think it’s the EveryDay-Carry (EDC) syndrome – the need to have the perfect tool in your pocket. 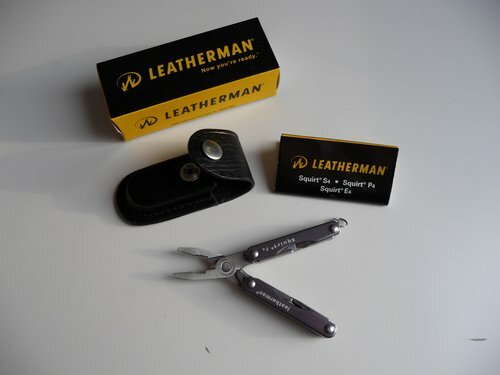 Fortunately, I am not alone on this and there are others who not only visit EDC-forums, but also come up with detailed reviews on my latest purchase: the Leatherman Squirt PS4 (e.g. 1, 2 & 3) and even their own (and very smart) modifications (& here). Unfortunately though, my new Leatherman PS4 does not have screws but rivets, so modifications are very limited. The perfect tool does not seem to exist yet, but we’re getting closer with every iteration. 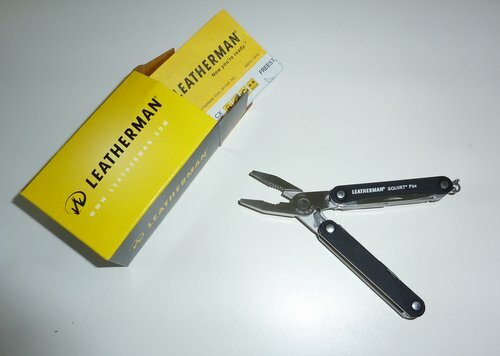 A Leatherman Squirt P4 I bought some time ago forwarded as a gift to her father. He really loves this one and prefers it to his older pocket knife. 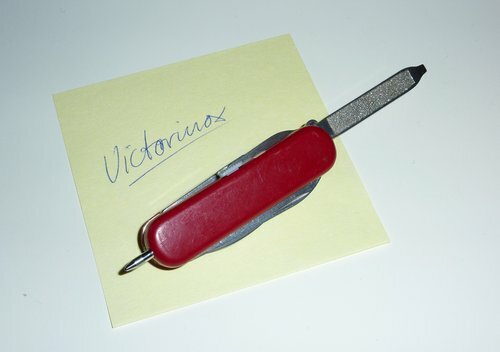 The Victorinox Manager 0.6365 I got instead of the LM Squirt P4. A very nice & slim pocket knife that comes with a pair of tweezers and ballpoint pen. Mentioned here because I think the perfect tool should also come with such a handy ballpoint pen and tiny screwdrivers. Also, Torx 5, 6 and 7 would be great! I bought the LM Squirt PS4 (not P4) because it comes with pliers and isn’t that much bigger than the Victorinox. The tools I need the most are a) knife, b) screwdrivers and c) pliers. 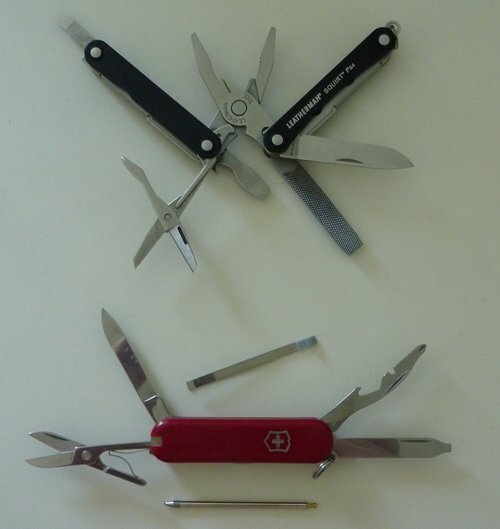 When I switched to the Victorinox in 2009, I also stopped carrying my LM Charge TTi – so I always missed the pliers. Hence this recent purchase of the PS4 which is a successor to the P4. The quality on the LM could be a bit better. This also applies to the Charge TTi below. 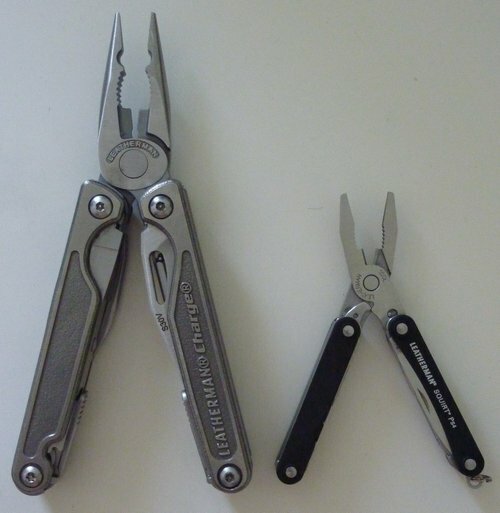 There’s a clear difference between the tools Leatherman produced some years ago and the ones they are selling these days. Victorinox clearly wins here, even though steel quality is equally bad. Sufficient for my needs, though. 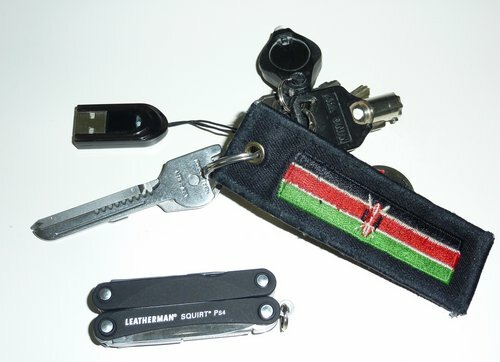 The real winner of my EDC concept is the Swiss+Tech Utili-Key 6-in-1 – because it looks like a key and is on my keychain. A great little helper that even passes through TSA while all other tools have to be stored in the luggage. Are you also infected with the EDC virus? What’s your favourite EDC gadget?